The New Year is almost upon us. Of course, New Year’s Day is just a day like any other, but the culture and customs surrounding it can provide a valuable way to mark the beginning of something new. This is a chance to start over, reinvent yourself, propel your ministry forward, recommit to a life of radical discipleship to Jesus. Of course, your week will never actually be ideal, but doing this will give you framework to work from even if you have to rearrange your schedule on the fly. Creating a visual calendar in a spreadsheet will help you prioritize and be realistic about the time that you have and how you’d like to spend it. Michael Hyatt has a great post on doing this along with a sample spreadsheet. Think about the one word that you’d like to be a summary for what you’d like to accomplish this year. Maybe “Discipleship,” “Family,” or even “Forgiveness.” How can you focus your life on the most important things this year? Pick a word that will be constant reminder for you. As part of this you may want to develop a life theme and choose a word that plays into that in some way. Now that you’ve chosen a word or theme for the next 12 months, write out 3-6 major things you would like to accomplish. Consider focusing on developing habits (which have a long-term return on investment) and spiritual disciplines that support your theme for the year. Don’t just put down the goals themselves, create action steps and write those down, too. You can’t start the New Year well if you’re tired and burned out. Get the rest that you need–physically, emotionally, and spiritually. You may have to make some sacrifices for this, but I know I’ve never regretted taking the time and resources to rest when I really needed it. Sometimes all you need is a single day of solitude to rest and recharge. Get ready, be prepared and make the most of the gift of starting another year. With the new year arriving in just weeks, it’s time to rest up and get ready for a new season of life. Don’t let yourself get caught up in the busyness of the holidays! You don’t want to start the new year frazzled and scrambling to catch up. A single day of solitude might be just the jump start you need to begin a brand new year with intentionality and energy. Take a decent chunk of time (I say at least 4-6 hours, and more if you can) and head out to a relatively isolated place. Good ideas in the city are local libraries, churches with nice grounds, a botanical garden. If you can get out in nature on a trail, lake, or beach, so much the better. Avoid places like your neighborhood coffee shop or mall. Spend the time to read a long portion of Scripture (maybe even a complete book) and pray about everything on your mind. Bring a journal so you can write thoughts and prayers down as they come to you. Keep your electronic devices down to a minimum to in order to kill distractions; at least turn of notifications so you don’t spend this valuable time on Facebook and Twitter. What went well? What challenges did you face? How did they prepare you going forward? What obstacles can you see ahead of you now? How did God work in your life last year to prepare your for the next one? If you could accomplish one thing each in your family life, as an individual, and at work this year, what would it be? Consider bringing a book other than the Bible, but only if it is essential to your goals for the new year. Otherwise devote the time to prayer, reflection, and planning. You’ll find taking a day like this to be spiritually, emotionally, and intellectually refreshing. Start your year off right…start with solitude. For me, ecumenism is a priority. Today, there’s the ecumenism of blood. In some countries they kill Christians because they wear a cross or have a Bible, and before killing them they don’t ask if they’re Anglicans, Lutherans, Catholic or Orthodox. The blood is mixed. 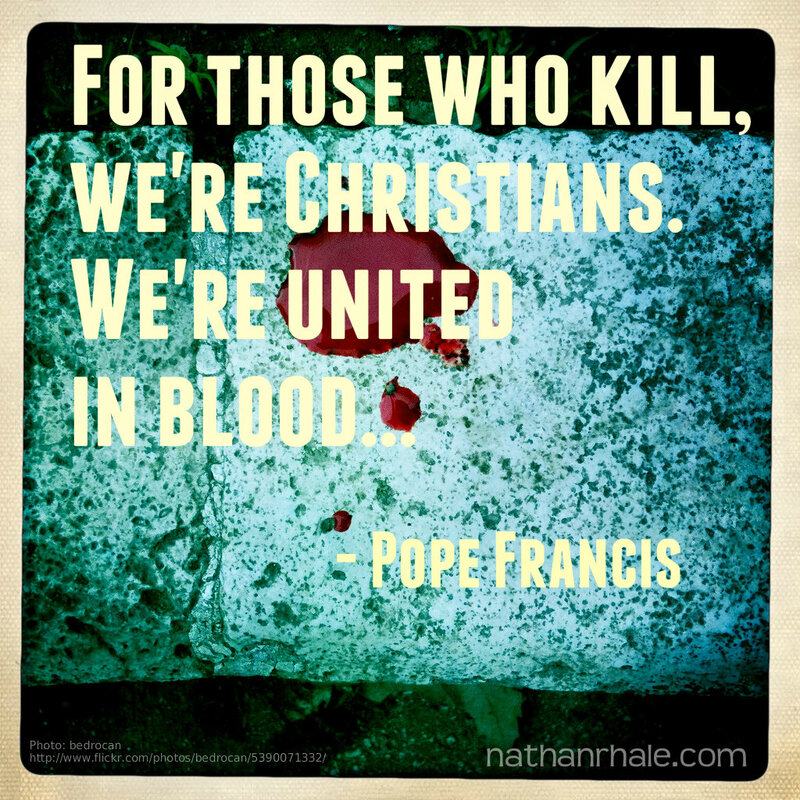 For those who kill, we’re Christians. We’re united in blood, even if among ourselves we still haven’t succeeded in taking the necessary steps towards unity and perhaps the moment hasn’t arrived. Unity is a grace that we have to ask for. “Unity is a grace that we have to ask for.” Wow. Let’s listen to this guy and get on our knees and start praying for unity. Although visible unity is not a reality, Roman Catholic, Orthodox, and Protestants are united by the blood of their martyrs, and most of all, by the blood of Jesus Christ, who gave himself not just for one sect of Christianity but for the whole Church. When you need really focus in to write that sermon, finish that blog post, complete a project, or get administrative tasks out of the way, do you just turn on Pandora and get to work? Turns out, popular music in written to connect with you on conscious level (emotions and thoughts) so it can actually be a distraction! Music service Focus@Will promises to deliver music that helps you get in the zone and get more done, without distractions. Focus@Will is like a Pandora that only plays scientifically formulated playlists of instrumental music. Their tracks have been remixed and hand-picked to increase focus. According to Focus@Will, your attention span could increase up to 400%! 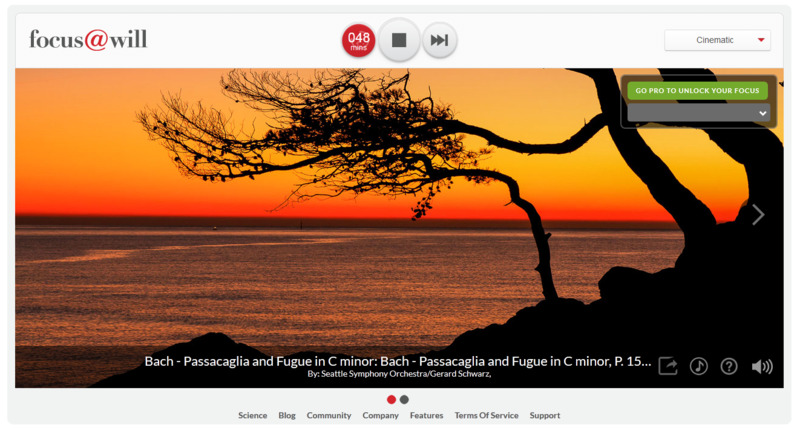 Focus@Will displays a simple music player with peaceful nature scenes in the background and countdown timer. The idea is that you give yourself a predetermined time-period to work on a project. The sound of a bell alerts you when your time has run out, and the app also has a built-in productivity tracker that helps you see improvements in focus. The music is great and there are a variety of styles to choose from, from Classical to Up Tempo, to Cinematic & Acoustical. There are free and paid accounts available at Focus@Will. The free account doesn’t include the productivity tracker and limits the variety music and the countdown timer. You can either go month to month for $3.99 or sign up for the whole year at once for $2.92 per month (25% off). I used the service for most of my morning and part of my afternoon, and I really enjoyed it. It seems to me to be better for its intended purpose than Pandora, and it’s quite affordable. You really need the paid version to get long-term value out the service; the free offering is more like a demo or trial. Overall I think Focus@Will is a good value for you what you get, and if you find yourself often using music to help you “get in the zone” for work, you really can’t pass this up. Social media is clearly a massive blessing to many ministries, but it is also the source of much distraction, idle talk, and even anger. Have you participated in Facebook comments thread about theology lately? It doesn’t take long for it to disintegrate into something much less than Christian love and charity. Here are five ways to regain control of your social landscape and start using it instead of it using you. This is the first thing I do when I get a new social account or app. I don’t need flashing lights and bleeps to let me know every single time something has been “liked,” “poked,” or “replied to.” This helps me to focus on the task at hand keeps me from constantly taking my phone out of my pocket to see what’s new. Instead of always checking your social media accounts and responding to replies and comments as they come, schedule two or three times during the the day to go through these tasks. Not only will this give you time to cool off and think before responding, but it will keep your day from being interrupted when you need to be focusing on other tasks. I’m rarely actually at my computer when my status updates and articles are published to social media. I use a website called Buffer to create a queue and schedule my Tweets and other posts. This way I can write status updates for two or three days in a single creative session. I’ve achieved what feels like tremendous success with this simple strategy. I often limit my time on social media each day to one hour, usually accessing my accounts 3 or 4 times throughout the day in 15-minute increments. This is a great way to force yourself to work more efficiently, and will keep you from being sucked into the never-ending cycle of scrolling and clicking on links. Pick one or two days a week and give yourself permission to not check or update your social media accounts at all. I often do this on the weekends, sometime unplugging from the Internet all-together (except for Netflix, of course! 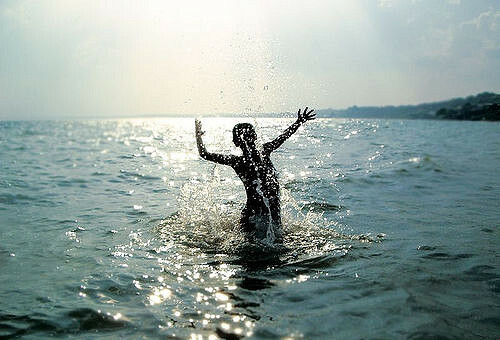 ), You’ll find yourself refreshed and ready to hit the ground running the next day. Remember you can still keep publishing content via automation during this time. How do you keep the social media beast under control? Not so long ago I was ready to abandon the Church, at least in all its institutionalized forms. After months of interviews and no progress, I decided to take a non-ministry position in Arizona. I saw it as a chance to start fresh and figure out where I belonged. Nothing stuck. It wasn’t that I was looking for a perfect congregation, but going back to the drawing board allowed me to see a fundamental unbalance in the Evangelical landscape. Everybody seemed to emphasize one pet doctrine or worship style at the expense of everything else. To make matters worse, my wife and I couldn’t find a spot where we were both comfortable committing to long-term. I contacted a local house-church I found online, explained my situation, and said we needed a place to figure out some things. I was hopeful because they seemed to want to move beyond institutionalism and focus on authentic community. They blew me off on the phone and never reached out again1. It was rough. I ached for a church home, and the fact that our search was causing some tension in our marriage only furthered my discouragement. I allowed my disappointment in the whole situation to turn to cynicism. My wife kept searching though, and didn’t let me give up, even though I wanted to. I was basically done, but she coaxed me into visiting one more church, where we discovered something that was–to us–remarkable. We looked in the bulletin we were handed on the way in and discovered this church had a peculiar philosophy of ministry and worship. They called it “three streams” and put it in terms of being liturgical, charismatic, and evangelical. In my own life, I’ve come to articulate this as being Catholic, Evangelical, and Charismatic. Each compliments the other and prevents excesses that are often identified in movements that focus on just one of these aspects of the Christian faith. How can we be reverent, enthusiastic, focused on mission, grounded in history, open to the Holy Spirit, and looking to the future, all at once and all the while staying centered on the Gospel? It often surprises people when I describe myself as a Catholic Christian, because the association immediately goes to the Roman Catholic Church. In reality, Catholic is simply a word that means “universal,” and is particularly associated with the unity of the Church. When, in the Apostle’s Creed, we say “I believe in the holy catholic church” we are saying that we believe fundamentally, the church is one. Political and secondary theological issues aside, there is a unity in our common, core confession of Christ that binds all Christians universally into one church. All Christians are part of one catholic Church in this sense and should be able to say this part of the Creed without feeling uncomfortable. Jesus gave special teaching authority to the Apostles, who in turn ordained and taught leaders in the church, who came to be called bishops. For one thousand years the Church existed in relative unity under the authority of bishops that came together in ecumenical councils–gatherings of church leaders that passed down what they received from the Apostles and hashed out the theological implications of the Apostolic witness. As challenges to the faith arose, these leaders articulated definitive summaries of the faith and issued theological statements as to how the Scriptures were to be interpreted and Christian worship ordered. 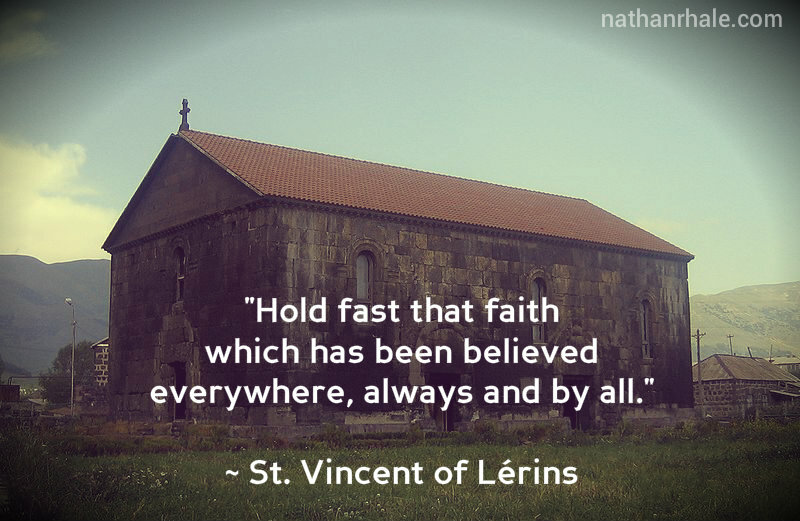 The one Catholic Church existed in visible unity. In 1054 the Great Schism occurred between the East and the West, and with it the degradation of visible unity of the Church. Without a universally agreed-upon authority structure, truly ecumenical councils became impossible. By time the Protestant Reformation had run its course, there were many competing theologies, confessions, and particular churches. Today all orthodox Christians hold to at least part of the Catholic doctrinal tradition, which includes the doctrine of the Trinity, the dual nature of Christ as fully human and fully Divine, and the rejection of Pelagianism. Sacramental theology that considers Holy Communion and Holy Baptism as real means of grace and signs of the New Covenant. This is the Christ-centered and authoritative faith we see in a visibly united Catholic Church for one thousand years, illumined by the Holy Spirit as she met challenge after challenge. This Catholic faith has been faithfully passed from generation to generation in the Church from the most ancient times. In every place the the Gospel has been preached the Catholic faith has been believed, and it endures still to this day, with the majority of the world’s Christians (Roman Catholic, Eastern Orthodox, Anglican, and more) remaining steadfast in their witness to it as the truth. Historically it is certain that this is the faith of the early church and thus–I believe–that of the Apostles. This is important because if the Catholic faith is the faith of the Apostles, then it is the fullness of the truth from the Holy Spirit and carries the authority of Jesus. This is why I am a Catholic Christian. My 3-Year-Old Son: "Daddy, can we help her?" We were driving to church; it was a fairly typical Sunday morning. I was thinking about new improvements to this site, the worship set I would be leading during the service, the new drum we’d bought to give some more energy to our acoustic sound. I was feeling a bit nervous about singing some fairly new songs and working with the drum for only the second time. It was a cold night for Phoenix the night before, down in the fifties. The morning air was still chill enough for me to start the heater in our car. I pulled up to a stoplight near Mountain View and 7th Street, the outskirts of one of the less great parts of central Phoenix. There is a large homeless population in this area that begs for money at lights while camping out at abandoned gas stations. Today a younger-than-normal blonde woman stood by the side of the road with the typical cardboard sign and grocery cart full of old clothes and bags. She stretched our her arm to wave, and I noticed her hands were dirty. She’d been on the street a while. She shuffled alongside the road, eyes tired and downcast. “Not today,” I replied, “we don’t have anything for her in the car right now.” After all, I didn’t have any cash in the car. I also knew that if I pulled over, I’d be late for church. And I needed to get there to make sure the new drum was set up and that we had the right songs to project on the screen. In church, I felt like I should pray for this woman, and as I did so, I felt as if God just punched me in face. Repeatedly. I realized the depth of my sin and my brokenness in that moment. No I didn’t have cash, but I could’ve bought her a hot meal at a drive through. That would’ve meant I’d have been late to “worship” rehearsal though. Worship is way of life, Nathan. Not just three songs on Sunday morning. When. Will. You. Get It? Oh, and I did have something for her in the car. Bibles. Two or three, in fact. Purchased just to give away. I hesitated to give them to the homeless woman because I always like to provide some “practical” assistance (read: cash or food) along with them. Tangible assistance is absolutely important, of course, but in my mind my options were limited to cash or food on hand, and I had neither of those so…Better for her to not receive a Bible at all than to get it with no money. Right. How little faith I have. How deep is my prejudice and dehumanization of those with less than me. I’d like to think I’m a compassionate, empathetic person, but I acted as if money is the solution to her problems. As if. As if a kind word, a smile, eye contact, a simple prayer and respect for another human being is worthless and wasted on this person if I can’t just throw some money at them. I preach about “Jesus is enough” all the time on this site and as part of other ministries. But this Sunday, Jesus wasn’t enough of a reason for me to pull over and show some kindness to someone in need. God I believe; help my unbelief. The truth? My lack of compassion was not enough for the homeless person on the corner. Me getting to church on time was not enough for her. Me ignoring God’s voice in the sincere desire of my little boy to help another human being was not enough. 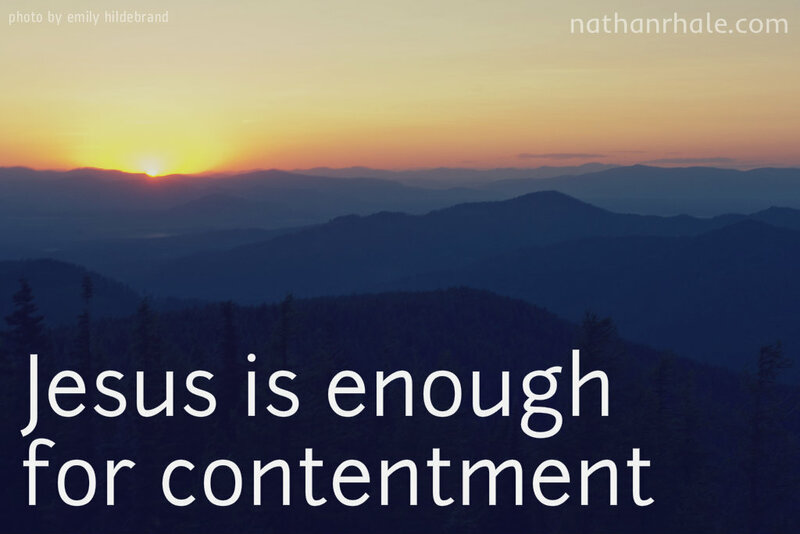 But Jesus really is enough. I had the opportunity to be the hands and feet and voice of Jesus, and I elected to take a pass. Christ, forgive my hardness of heart. Christ, have mercy on me. 1) I’m a mystic. I believe that as result of the merits of Christ and gift of the Holy Spirit, it is possible and desirable for Christians to have direct, unmediated experiences of God. These kind of experiences include visions, dreams, “promptings,” and deepened awareness of the presence of and union with God. I also find great value in practicing the Spiritual Disciplines as means to strengthen my consciousness of the Divine and open myself to the sanctifying work of the Holy Spirit on my heart. Mystical experiences have been part of Christianity from the beginning–whole passages and books of the Bible were written as a result of such things. Many passages also detail the kind of direct experience I am talking about (cf. Acts 9:10, Acts 11:5, Rom. 8:16, Rom. 9:1, etc). 2) I believe all of the biblical gifts of the Holy Spirit are available to contemporary Christians. I am as-yet unconvinced that the so-called “sign gifts” of speaking in tongues (“private prayer language”) and prophetic speech (“words of knowledge”) and healing have ceased for any compelling theological reason. I know too many Godly, sane, people that have experienced these things to simply dismiss them as “emotionalism” or “a psychological phenomenon.” I see God using people with these gifts for his glory all over the world and in many corners of Christendom. (cf. 1 Cor. 14:5, Matt. 12:33, etc). 3) I believe ritual can and should be infused with emotional response. A wonderful part of Charismatic culture is its emphasis on expressiveness in worship. Biblical worship is full of emotion (just see the Psalms!) including kneeling and raising hands, falling prostrate, clapping and shouting (cf. Ezra 5:9, Rev. 4:10, Psalm 47:1, etc). Yes, our corporate worship should be full of rich theological content, but that doesn’t mean it simply must be reserved in character. Proper reverence does not preclude an authentic response to the Holy Spirit that is deeply and openly heartfelt. Although I understand and appreciate the point of view of my ceasationist brothers and sisters (at one point I was very close to committing to the position), I cannot reconcile it with the Scriptures or the witness of the Church throughout history. The Holy Spirit continues his work now as he began it at the foundation of the world: revealing mysteries, changing hearts, healing the broken, and all to point to Jesus. 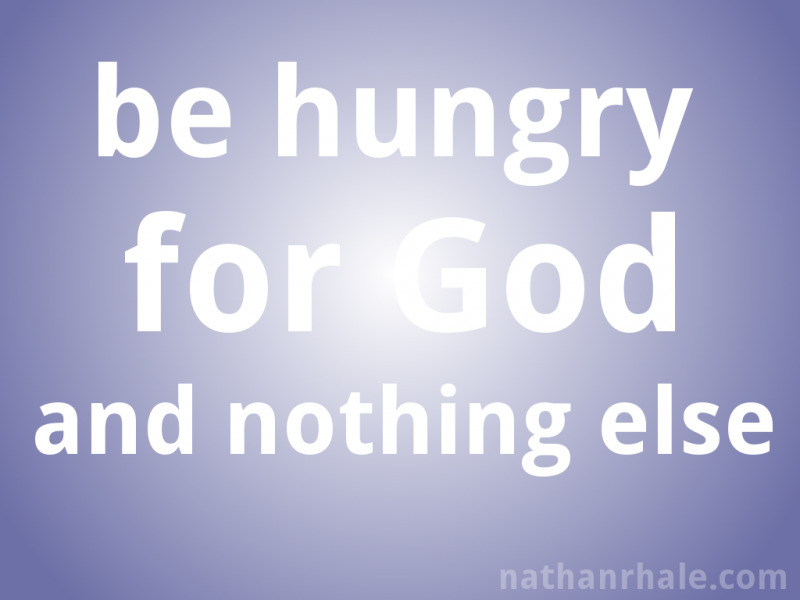 Be hungry for God and nothing else. Find good in things not for their own sake, but because they express the goodness of God. Don't Just Stand There, PRAY! You know the situation. You’re with a friend, also a believer, and they begin to confide in you. Things aren’t going as they hoped…maybe they’ve had a rough day, they’re concerned for the health of a loved one, or they’re facing a particularly tough decision. You offer some kind words of advice, the best stuff you can think up on the spot. Maybe you share a story about how you’ve gone through something similar. You do your best to sympathize, empathize, and encourage. Finally the conversation begins to wrap up, and you say, “I’ll be praying for you” and that’s that (if we’re honest with ourselves we might realize we often forget these promises). But what if that wasn’t the end? What if you made it your habit to vocalize your prayer, right then and right there? These short, sweet, to-the-point “in the moment prayers” are powerful! Not only do they help to keep you in the habit of praying without ceasing (1 Thes. 5:17), but you let the person you’re speaking with know you’re serious about bringing their concerns before the Lord. I think making space in our day for these prayers honors our friends and God as an act of service and love. Honestly, I think our conversations and relationships would be transformed if we stopped talking about prayer so much, and started actually praying together like this more. When we come before God with a sincere heart, we tend to be open and vulnerable, which naturally strengthens trust between those praying together. Spontaneous prayer like this reminds us of the continual presence of God, and intentionally seeks him out in every situation. Don’t always wait until the end of your conversation to pray. Practice the presence of God by acknowledging and inviting him at the beginning. What an encouraging, humbling way to focus our time together. So next time you have one of those conversations with a friend desperately in need of help that only God can give, don’t just stand there. Don’t simply talk about praying. It’s not that I don’t recognize that the Church was in a rough spot in the Middle Ages. It’s not that I don’t admire the courage and tenacity of the Reformers in fighting for a faith that was closer to the Early Church that addressed abuses, un-Godly practices, and biblical illiteracy. But I can’t celebrate Reformation Day. I’m profoundly grateful for so many things that came out of the Reformation, like the beautiful English liturgy used by Anglicans, a rediscovery of the primacy of Scripture, the Authorized Version, and renewed focus on clergy formation through biblical training. God used the Reformation to bring light into places of darkness, to give the people of God worship in their own language and access to the Sacraments. Historic revival movements began, and many were willing to die and did for their stand for biblical, ancient, and Apostolic truth. Yes, God has used and continues to used the Reformation and its children, but the Christian Church has failed to really, truly reform from within. 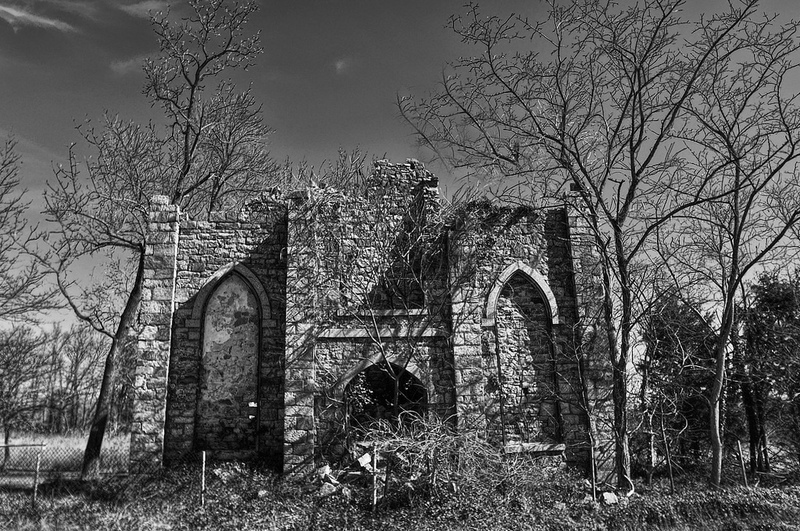 Instead the Reformers (sometimes against their will) had to separate themselves, forming new Churches. Ultimately new ecclessiologies developed that essentially gave the individual permission to break communion with other Christians and start their own semi-autonomous group if they are not in full doctrinal agreement. This has resulted in–over time–thousands of new competing versions of Christianity, all of which claim to be “the most true” based on sectarian readings of the Scriptures. Obviously, they cannot all be correct, yet division, anger, and disunity remain. Unity within diversity is possible and in fact exists as a result of our common confession of the Gospel of Jesus Christ, yet we do not exhibit it with our attitudes and actions. What about authority? Many say they find it in the Bible, but in practice they find in themselves and their own judgement of the “plain and obvious meaning” of passages that have from the beginning been debated. Never mind that for most of these issues, an Undivided Church spoke with one authoritative voice–a voice most of us that identify as Evangelicals have largely forgotten or chosen to ignore. It’s one thing to bear with one another, as the Scriptures teach, striving with zeal to “to equip the saints for the work of ministry, for building up the body of Christ, until we all attain to the unity of the faith and of the knowledge of the Son of God…,” but too many Christians have stopped trying (Ephesians 4:12-13, ESV). Phrases like, “we’ll never be one visible church again this side of Jesus coming back” are thrown around with careless abandon. With Christ all things are possible and this is his desire for us. Don’t shortchange the Holy Spirit. Reformation Day has become in many corners an excuse to celebrate caricature and delight in division instead of remembering God’s faithfulness to his church and pursuing unity in the Spirit. It’s time for Protestants to take the log out of our eye and get to work on being the Body of Christ. I’ve been looking for a Bible that’s not too big or too small, but that’s rugged enough to take camping and traveling without a lot of worry. I’m definitely not going to take my super-nice ESV Legacy to the beach! The problem is that most Bibles just can’t stand up to dirt or moisture of any kind. The good news is that the ESV Waterproof Bible from Bardin Marsee Publishing isn’t most Bibles. My brother-in-law got me the ESV New Testament and Psalms with the camouflage cover (pictured). Excited and nervous, I decided to put the Bible to the test immediately. I unpackaged the Waterproof Bible and let my kids take it for a spin in the tub. 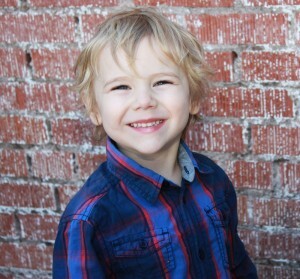 Yes, you read correctly–I let my toddler and pre-schooler test the Bible in a bath full of soapy water. I was impressed that all I had to do was let the book dry for a few hours, and it was like new! I brought it in to the office the next day and my coworkers could hardly believe it had been practically immersed the night before. The secret is that the Waterproof Bible isn’t actually made out of paper, but rather plastic. The plastic pages make sure that water and mud are no problem. They are also quite tear-resistant, and completely opaque. You know how Bible paper is often annoyingly see-through? Not a problem with the ESV Waterproof Bible. In fact, this feature means the text is amazingly clear and easy to read (although it is in a two-column setting). You can even write in it with a pencil. The only real trade off here is that the pages in the Waterproof Bible are necessarily thick, so the New Testament with Psalms is about the thickness of most full-text thinline-Bibles. A Waterproof Bible with the whole Old and New Testaments will probably be a little inconvenient to carry around in a backpack or purse all the time. If you’re not an ESV fan like me, you can get the Waterproof Bible in KJV, NKJV, NIV, NLT, and Spanish editions. There also a few cover designs to choose from, depending on the translation. I love that I finally have a Bible that I throw in a backpack and not worry about. Look, the Waterproof Bible is no match for my Pitt Minion or Legacy in terms of aesthetics or craftsmanship, but it’s amazingly readable and can take a beating (or a dunk in a river). I’m sure I’ll get many years of use out it. Evangelicalism is quickly going the way of fundamentalism as far as being a useful term. Although fundamentalism hasn’t always meant “religious person that hates others” it’s practically a lost cause to recover its original intent at this point…and I see the same thing happening with Evangelicalism. This is unfortunate, not only because Evangelicalism has historically distanced itself from fundamentalism as a movement (even before the term became corrupted), but it has its own rich history and distinctives–some of which are well worth preserving. First and foremost, I affirm an emphasis on the evangel, that is, the Good News of Jesus Christ. This necessitates for me strong efforts to evangelize the lost, proclaiming this news and all its implications boldly. It also means an activist approach that sees addressing systemic social issues (poverty, widespread abortion, the abandonment of a socially-constructive sexual ethic, culturally sanctioned violence, etc) as part of the church’s mission. Second, I affirm an emphasis on the sufficiency and centrality of the Bible for the Christian faith. 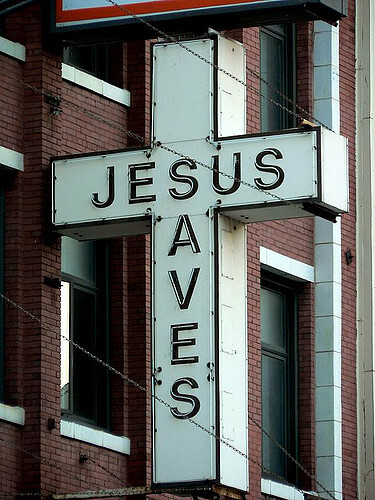 All that is necessary for salvation is found in the Scriptures, and it is the final authority for faith and practice. This does not necessitate a rejection of the traditions of the Church. Clearly, the traditions of the Church universal are necessary for a full understanding of the orthodox faith, yet the most important things relating to salvation are clear and self-evident in the biblical text. Third, I affirm an emphasis on ecumenism. Christians are meant to exhibit the unity that is present in the Godhead. We generally fail at this pretty bad. The only way forward is an unrelenting focus on the person of Jesus and a commitment to carry out his will with grace, charity, and patience while focusing on what unites orthodox Christian groups, not what divides us. Evangelicals have been known for coming across denominational lines and even bridging the Protestant-Catholic divide for the sake of the Gospel. This is something I am especially proud to be a part of. In many respects (especially when it comes to politics and certain methods/ideas regarding evangelism/conversion) I am solidly in the so-called post-evangelical camp. Nevertheless, post-evangelical is a pretty nebulous term in and of itself, and think I’ve got enough in common with Evangelicalism to legitimately maintain a vested interest in the movement. I’ve been thinking a lot about the concept of holiness. What it means to be set apart for God, for the new creation to begin. It seems to me that many Christians basically act as if the new creation has really started yet. That although they are forgiven for their mistakes and are going to heaven, now they play a passive waiting game for Jesus to come back. There is sometimes as sense of powerlessness, that holiness is an ideal that will never be fully accomplished in this life, and so…why even try? Yet, the Scriptures teach that the new creation happens in real-time as one submits to the Holy Spirit (2 Cor. 5:17), that holiness happens as result (1 John 1:9), and that although it is ultimately God’s work, we should strive after this (Hebrews 12:14). To do anything less than commit ourselves wholeheartedly to the spiritual disciplines (which is really just the practice of submitting to the Holy Spirit in obedience) is essentially saying that we don’t believe holiness is possible or worth effort. At this point wouldn’t be setting ourselves up in opposition to the teachings of St. Paul? Now in a great house there are not only vessels of gold and silver but also of wood and clay, some for honorable use, some for dishonorable.Therefore, if anyone cleanses himself from what is dishonorable, he will be a vessel for honorable use, set apart as holy, useful to the master of the house, ready for every good work. 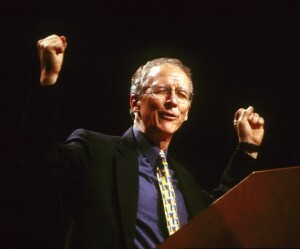 I recently got to hear John Piper preach at the Catalyst Atlanta conference. Although I have my differences with Piper on theology and practice, I have to admit this was one of the most powerful sermons I have ever listened to in person. His passion for Jesus is nothing less than inspiring and infectious. The theme of conference was “Known” and so Pastor John spoke to us on the fundamental identity of human beings as being made in the image of God. He pointed out that many speculate on what it means to be made in God’s image. Some say it is humanity’s capacity for love or relationships, or that it means we reflect some other aspect of God’s character. Piper says this is missing the common-sense meaning of what an “image” is and does. Fundamentally, an image draws attention to what it is “imaging.” A statue, for instance, draws attention to the person or object it is a statue of. Even abstract works of art point beyond themselves to something deeper. Therefore, as beings made in the image of God, we are to draw attention to him; this is called giving God glory. But, Pastor John admits, this seems to pose a problem. What do we do with the megalomania that God seems to demonstrate by erecting 7 billion+ statues of himself on the planet? Isn’t this abuse? Isn’t God just using me? Far from it. We are created in such a way that we actually experience the greatest pleasure, happiness, and perfection when we are in genuine fellowship with God, and witness to God’s surpassing greatness in every area of our lives to others. It’s tough for me to do this profound concept justice, but I think I’m convinced that it is what the Bible teaches. You should really listen to the sermon for yourself. A cultivated mind is one that is well-tended, nourished, disciplined, and flourishing. How do we cultivate our minds? By taking in ideas, actually thinking through them, solving problems, etc. We “work out” our minds. For the Christian, a cultivated mind is also one that has been carefully grown to have increased sensitivity to the Holy Spirit and see the world as the Divine sees the world. The Christian worldview actually allows us to step into God’s reality, and to begin to see matter, space, and time as God sees them. Hiding the word of God in our hearts is perhaps the most foundational step developing the Christian worldview. If the Christian worldview is indeed Truth--and I believe it is--then it is a most accurate lens for examining reality. As we memorize the Bible and mediate on its passages, we allow it change our every perception. A better grasp on reality means we can think more clearly, draw better conclusions, and experience life in rich dimensions previously unreachable. Things that didn't make sense ("the last shall be first," "power made perfect in weakness," and the rest of the Gospel's counter-intuitiveness) begin to snap in place, and we experience those "oh...I see...!" moments. We are enlightened by the light of Life. In a very real way, our minds finally begin to work as they were created to. All from memorizing Bible verses.